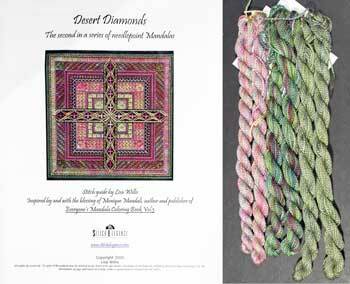 Description: The first in a series of needlepoint Mandalas. Includes full stitching instructions, charts and 1 skein each of Snipits colors Daffodil, Lilac, and Marigold. 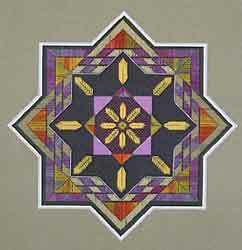 Description: The second in a series of needlepoint Mandalas. Includes 2 each Snipits Desert, Sage II, and Sand.